The DODECANESE FLYING DOLPHINS link the harbors of Kos and Rhodes with the Turkish ports of Bodrum and Fethiye. 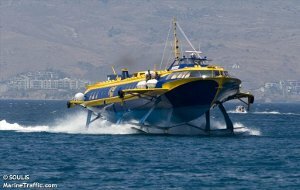 DODECANESE FLYING DOLPHINS - 12fd announces its new regular ferry service between Symi island Greece and Datca Turkey. 12fd announces its new regular ferry service between Symi island Greece and Datca Turkey.Daily from 10/06/2017 until 30/10/2017.